With autumn’s changing leaves and chillier climes on the horizon, we’re still clinging to the last vestiges of summer. How better to channel the sunshine than with Cameron Stauch’s indulgent rainbow recipe? My kids love this colourful, icy fruit salad that’s drenched with sweetened coconut milk. It’s especially good from May to September, when tropical fruits are at their peak. Southeast Asian and Chinese markets will have a great selection of tropical fruit, so head there when planning to make this summer favourite. Aim for six to eight different types, mixing and matching tropical fruit varieties with local soft summer fruits like tender berries or plump stone fruits. If the fruit salad is well chilled, consider the crushed ice optional. Spoon the fruit into a tall glass. Place the crushed ice over the top. In a small bowl, mix together the coconut milk, condensed milk, and yoghurt. Pour over the ice and fruit. Mix with a spoon and enjoy. 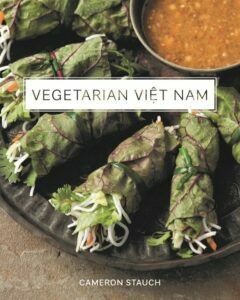 This recipe was taken from Cameron Stauch’s Vegetarian Viet Nam cookbook, published by W.W. Norton. 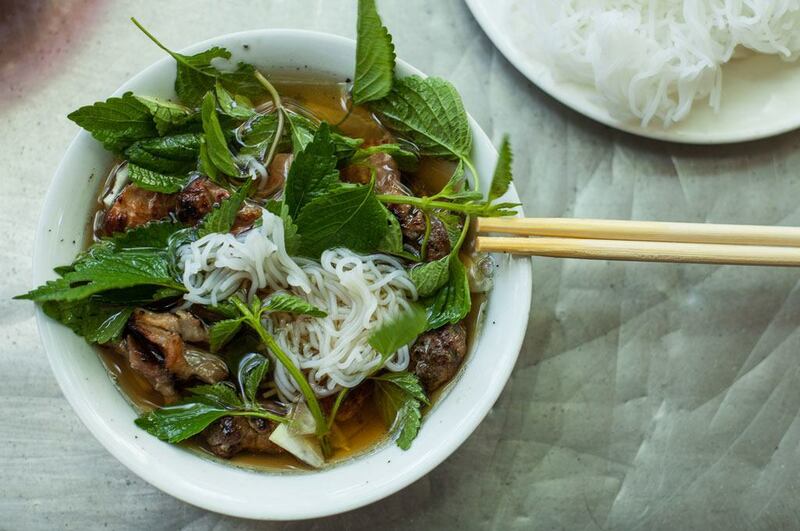 If Cameron’s recipe leaves you dreaming of Vietnam, get in touch with our team of Southeast Asia experts, and you’ll be tucking into authentic Hoa Qua Dam in no time.